Lovely Art Deco style all chrome table lamp, hand-made in the U.K. to the highest standards. 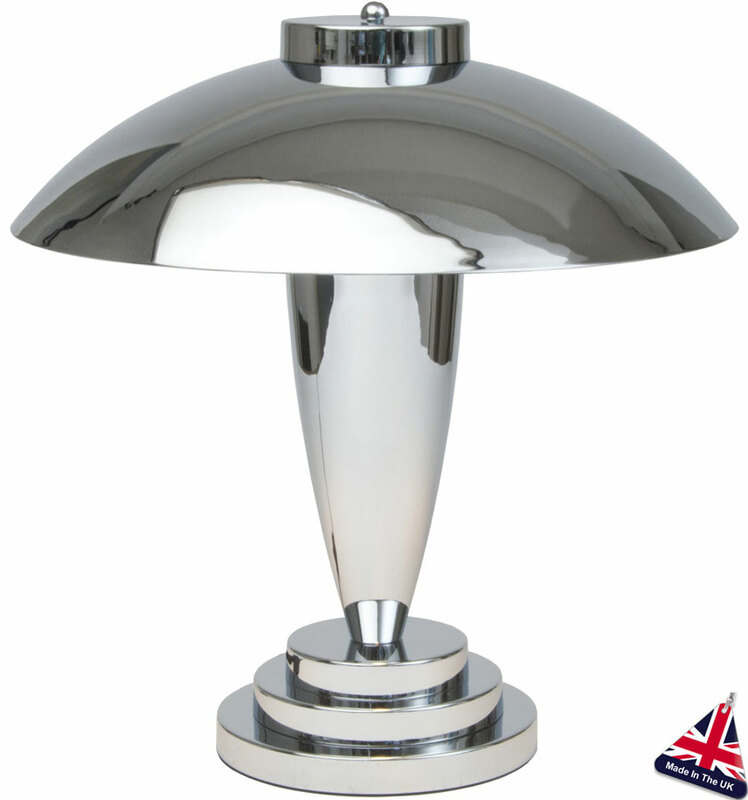 The all chrome Charlton Art Deco table lamp has a round polished chrome three-tier stepped base, with a vase like central stem and all chrome shade. A typical Art Deco lighting design table lamp for any period setting.